3) improving project outcomes by working more efficiently with focused decisions to unexpected outcomes. 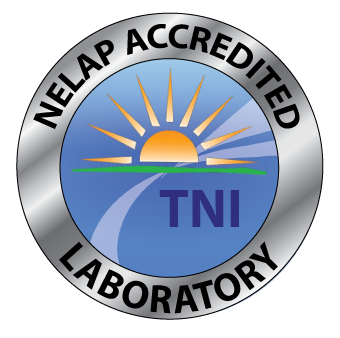 Our laboratory provides clients thorough studies and evaluations of chemical inventories of manufacturing, industrial and residential locations in order to properly assess their impact in the environment. Whether that is through air, soil or water studies our experienced chemists provide you with proper quality control objectives and outlines in relation to regulatory compliance and improvements. Proper assessment of project sites may determine certain chemicals to be hazardous and our experienced staff will evaluate and determine the proper safety protocols to ensure that the job is done safely, efficiently and correctly. Hazardous waste evaluations are crucial to properly screen and determine the proper outcome of such wastes. Engineers, regulatory officials, environmental consultants, geologists and chemists often make important and expensive decisions based upon analytical results. Sometimes the reliability of the laboratory data can be called into question and an independent, third party assessment of the data plays an important role. This third party assessment is referred to as data validation. Laboratory data packages can be reviewed on several levels depending on the project needs. Level I and II are concerned with completeness of the data package and are more accurately referred to as data verification. Level III begins with the process of data verification but includes assessment of all results reported in the standard data package. The validator is concerned with the compliance of the data in relation to common laboratory quality controls, method specific procedures and quality control and/or project specific quality control. Qualifiers are issued at this level and above. Level IV constitutes the most extensive and exhaustive review and verifies the final result calculation from the raw laboratory data. This type of data validation reviews the data across an entire project or sampling event. The reported results are compared to concentrations of concern many times outlines in a Quality Assurance Project Plan (QAPP) to determine the significance of such results. An independent report is generated at this level and compared to the original laboratory data as the final product. This data usability report provides the most accurate picture of analytes present at a site from which risk assessment decisions can be made. Data at this level, can be qualified, estimated or rejected on an analyte, sample, batch or analysis group or entire sampling event.